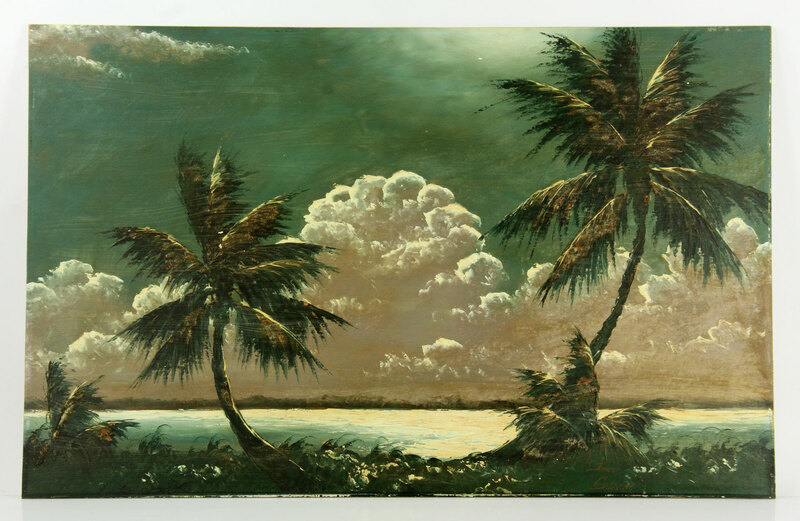 Kaminski Auctions “Design and Decorative Auction” on New Year’s Day, January 1, 2017 features a selection of Mid Century furniture including pieces by the Mexican artist Pedro Friedeberg, Frank Gehry, Eero Saarinen and Breur Wassily as well as a collection of art by the Florida Highwaymen artists including James Gibson. Kaminski Auctions “Design and Decorative Auction” on New Year’s Day, January 1, 2017 begins at 11:00am (EST) and features a selection of Mid Century furniture including two pieces by the Mexican artist Pedro Friedeberg. 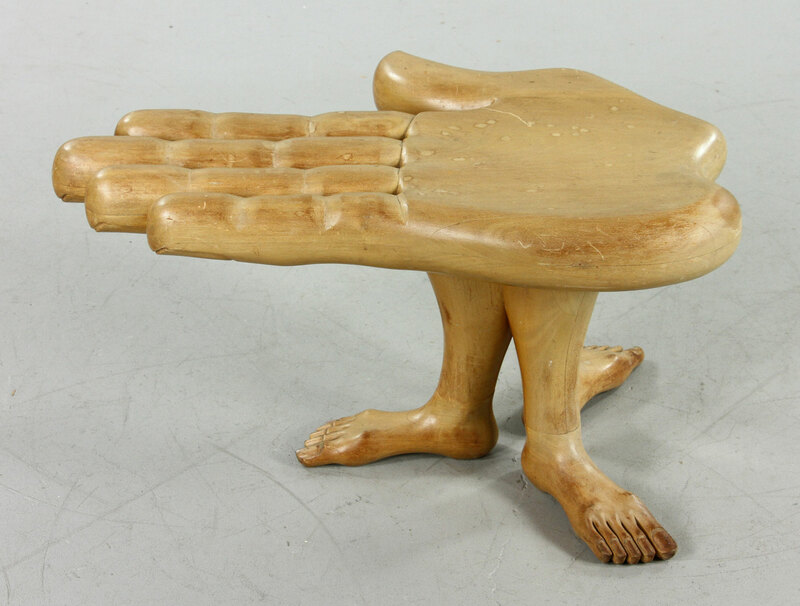 They include a sculptural” hand chair” and a “handfoot chair “ in mahogany with original finish and signed inside the base by the artist. Friedeberg works are found in museum collections throughout the United States including the Museum of Modern Art in New York City, the Museum of Contemporary Art in Chicago, Illinois and the Library of Congress in Washington, D. C. The two chairs are conservatively estimated at $7,500-$12,000. Both chairs were purchased directly from the artist to the consignor from a Brookline, Massachusetts’s estate. 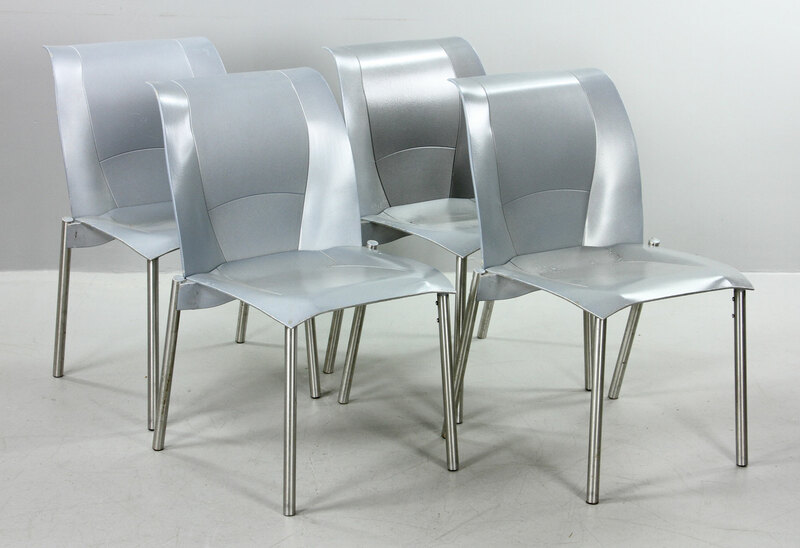 Also of interest to modern collectors is a set of Frank Gehry Fog chairs, a pair of Breur Wassily chairs and a set of six Eero Saarinen chairs. Modern glass on offer includes several lots of artist signed glass by Tony Davlin for Pilchuck Glassworks a former student of Dale Chihuly. Fine art in the auction includes works by such notable artists as Theodora Weber, a Douglas Crockwell “Saturday Evening Post” scene, two primitive portraits by Zedekiah Belknap, a floral still life by Abraham Arapov and several etchings by the Swedish artist Anders Zorn. Of particular note is a collection of over 35 paintings from the “the lifetime collection of the family of John Downs of Palm Beach, Florida which includes several landscape paintings of the Florida Highwaymen artists including James Gibson. The “Highwaymen” or “Florida Highwaymen” refers to a group of African American landscape painters. Totaling 26 recognized artists the men were largely self taught and sold their works door to door or by the side of highways across Florida. 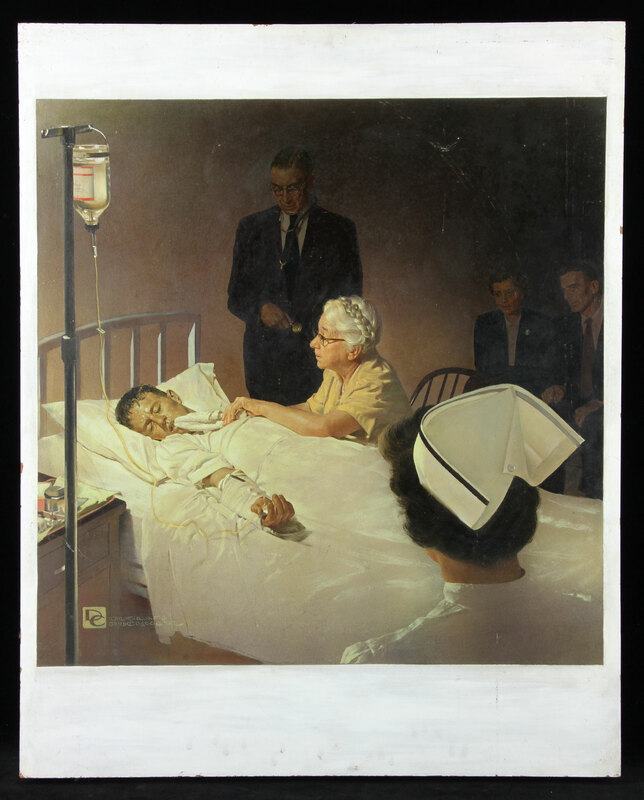 Starting in the mid 1950’s the group was located in the Fort Pierce area of Florida. They mentored each other and produced works through the 1980’s mostly on construction materials due to the expense of art supplies. During this racially charged era they were not welcome to show their works in galleries and instead sold their works door to door or by the side of the road from the trunks of their cars. Their folk art was recognized officially in the year 2000 when twenty-six names were inducted into the Florida Artists Hall of Fame including James Gibson. Other disparate items of interest include a copper cornice mask designed by Warren & Whetmore Architects in 1913 and originally purchased from the Commodore Hotel, New York City. 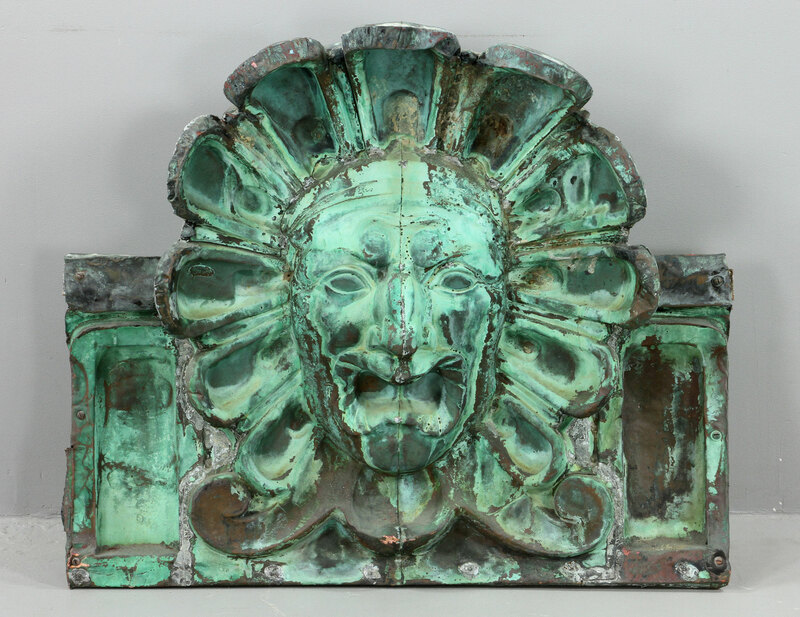 It measures 34 inches high by 42 inches wide and has a richly weathered green patina. It is estimated at $1,000-$2,000. A replica doll house of the Ravenhurst Mansion located in Glen Arm, Baltimore County, Maryland, is a one inch to one foot replica of the 32 room, two and a half story Carpenter Gothic style board and batten house built between 1854-1857. Ravenshurst was a historic listed on the National Register of Historic Places in 1978. The wooden house was an addition to an earlier stone building from 1800’s. 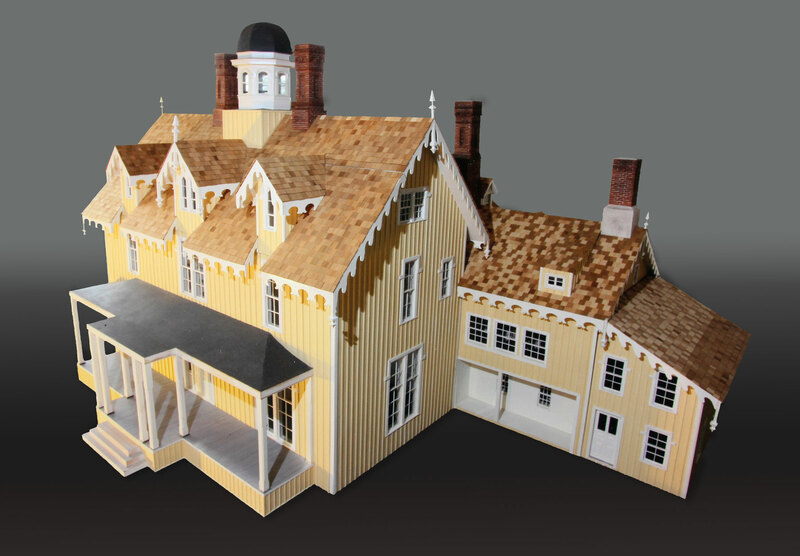 This exceptional dollhouse was built in Tacoma Washington and was commissioned by Rebecca Holmes Thomas Beven, a descendent of Henry Hoe of Glen Arm, Maryland, a World War II veteran and a past president of the American Ceramic Society. The dollhouse was constructed between 1988-2007 and Mrs. Bevens completed some of the finish work including real glass windows and wood shingles. It is from the estate of Rebecca Holmes Thomas Beven of La Jolla, California estate. 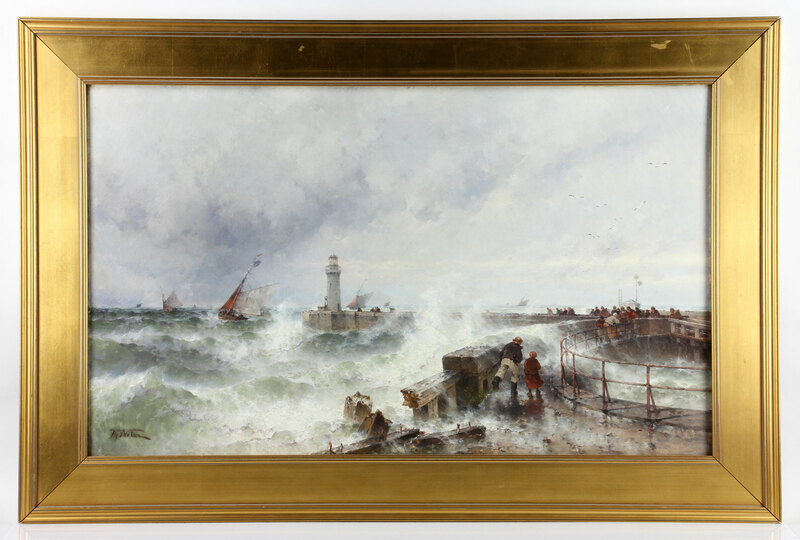 Preview for this exciting auction takes place at the Kaminski auction gallery at 117 Elliott Street, Rt. 62, Beverly, Massachusetts, Tuesday through Friday, December 27-30, 10:00 am- 5:00pm and Saturday, December 31, 10:00am-4:00pm and day of sale beginning at 9:00am. Preview is also open all day while auction is live. For more information go to http://www.kaminskiauctions.com and sign up to bid with KaminskiLIVE.